How do you like your yoga? Looking for a new challenge? 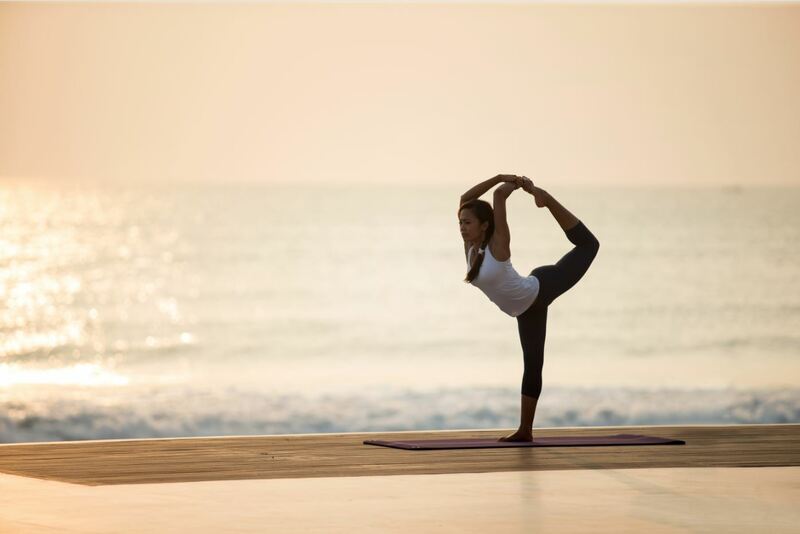 Whether firmly rooted to the ground, balancing over the water or up in the air, Alila resorts in Bali offer yoga in a variety of unique styles. 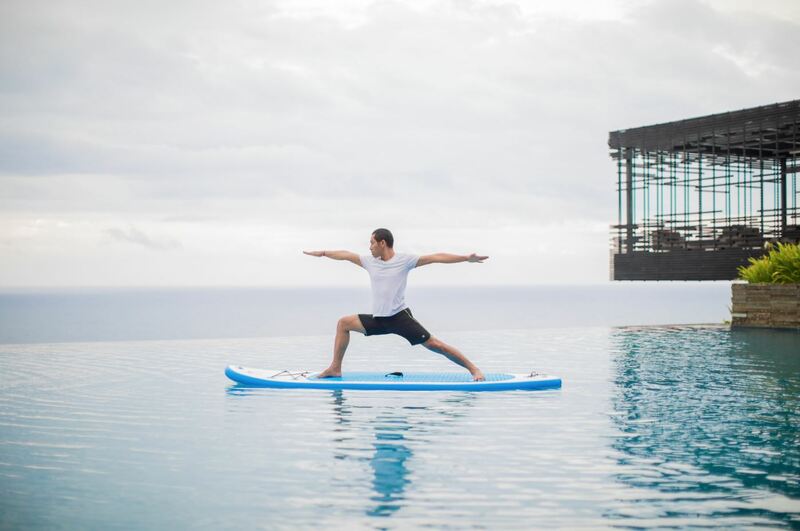 Stand Up Paddleboard Yoga is practiced on 10 to 12-foot-long boards in the resort’s serene infinity pool, bringing a joyful sense of freedom to the traditional earthbound yoga practice. Uluwatu is a top spot for surfers, and the ancient practice of yoga has grown deep roots in the surfing community due to its ability to both focus the mind and strengthen the body. In particular, Stand Up Paddleboard Yoga is great for toning core muscles and building stability, essential for peak surf performance. But whether you surf or not, balancing on the water, with a panoramic ocean view before you, is fun and energizing. Not one for the water? 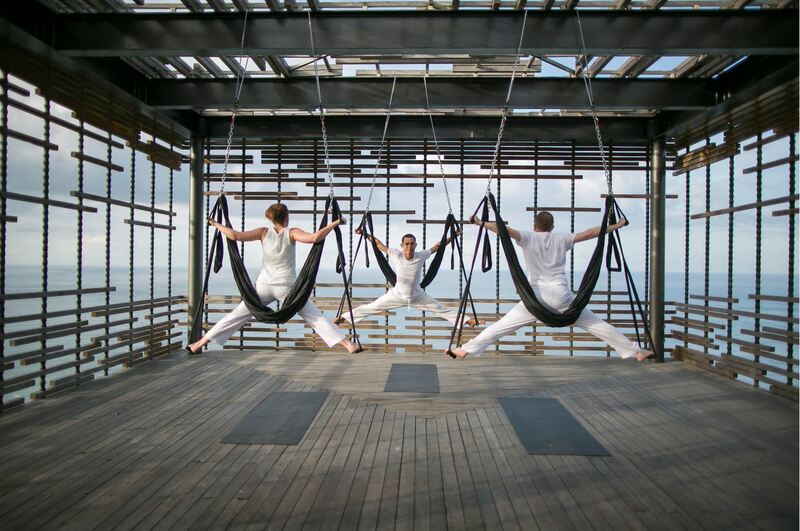 Try the gravity-defying freedom of aerial yoga conducted at the resort’s iconic Cliff-edge Cabana. During the aerial workout, supported by a fabric hammock suspended about a meter above the ground, almost every part of the body is forced to move and stretch, toning strengthening and rehabilitating all the muscles and joints in the process, and allowing the spine to relax. An amazingly uplifting experience. 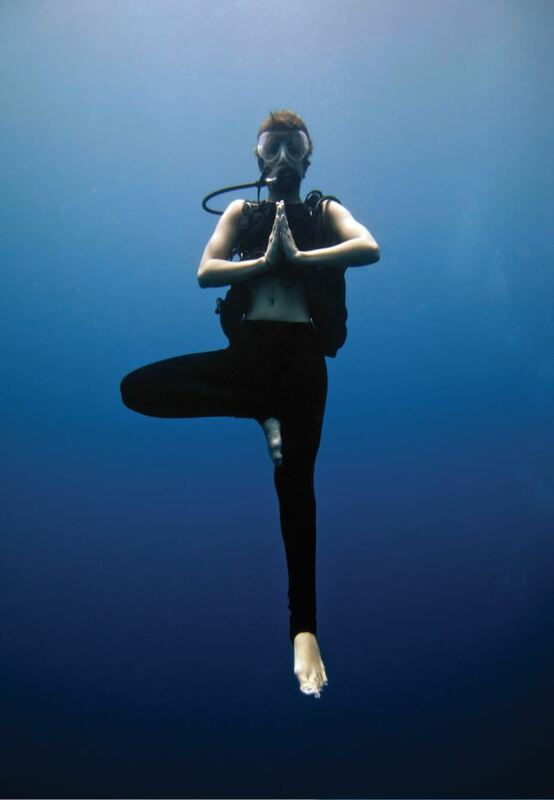 Zen Harmony Underwater Yoga takes relaxation to new depths. Its holistic approach combines correct breathing techniques with rejuvenating massages and Zentsu, a water-based relaxation method, to release muscle tension and relax the mind. Performing yoga underwater helps to control breathing, increase lung capacity, improve meditative focus and reduce stress. A wonderful way for yogis to discover the beauty of East Bali’s underwater paradise while boosting their wellbeing. Laugh your way towards a healthier, happier you! Laughter Yoga is a fun, natural therapy based on the belief that laughing improves physical, mental and emotional health. Experience the combination of meditation, postures, breathing synchronized with movements and, of course, lots of laughter and smiles. Enjoy the sense of playfulness while focusing your mind on positivity to relieve tension and dispel stressful thoughts. Nauli, or Nauli Kriya, is a yogic cleansing exercise that helps to stimulate and regulate the entire digestive system. Considered an advanced yoga practice, Nauli cleanses the internal organs and tones the abdominal region via a side-to-side rolling motion of the abdominal muscles. 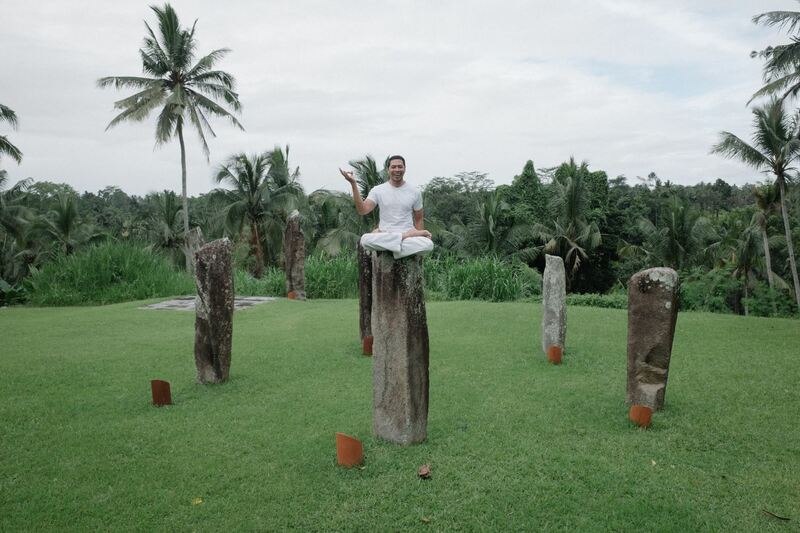 Nauli is conducted at the resort by an advanced practitioner with a deep understanding of yoga philosophy, well versed in Ayurveda, anatomy, physiology, meditation, and the six purification techniques of shatkarma. All of these classes are available as private sessions upon request.